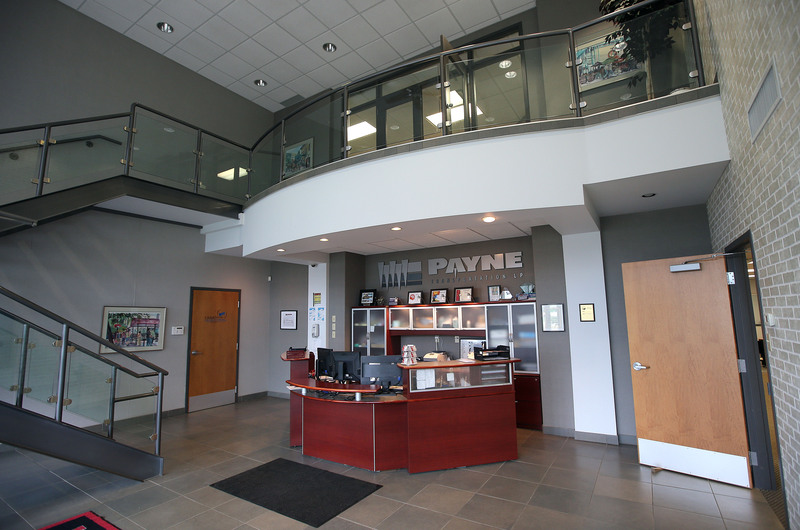 Payne Transportation is a full load common carrier operating across Canada and throughout the United States. 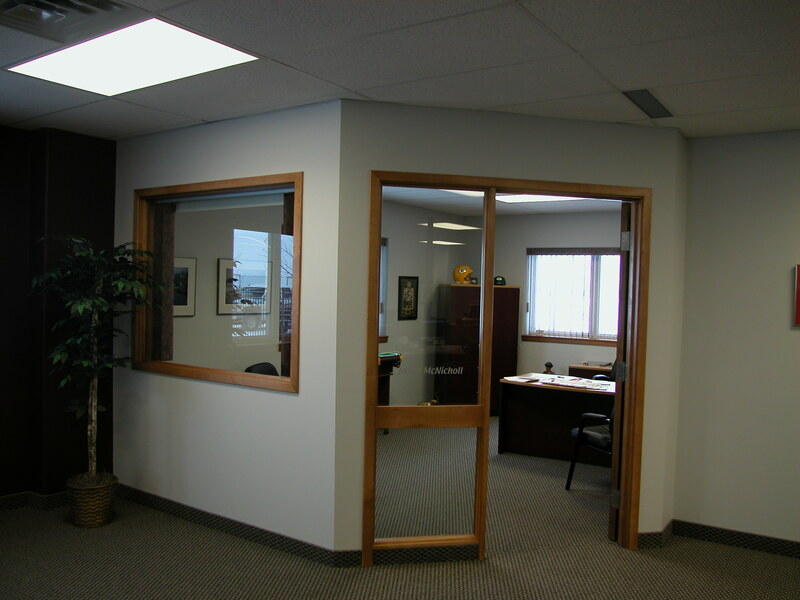 They offer customs bonded clearing services and is a one stop door-to-door transportation company. 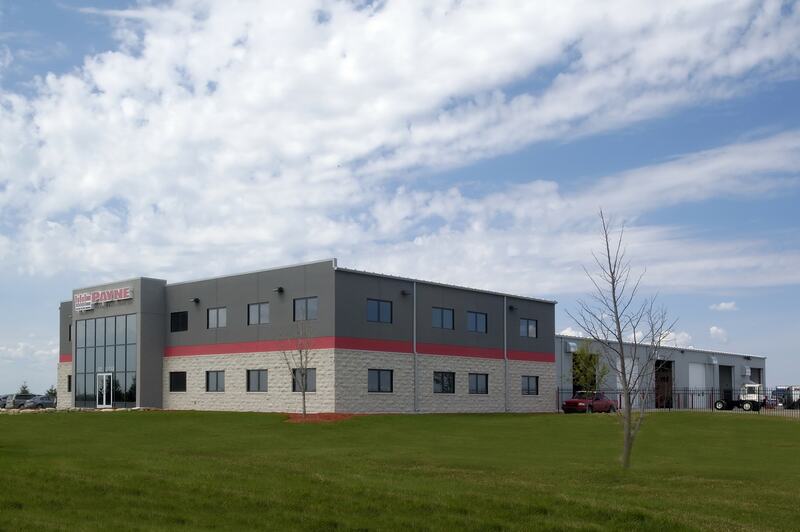 Their new facility incorporates significant warehousing and cross-docking capabilities along with a convenient equipment shop and wash bay area to service their own equipment. 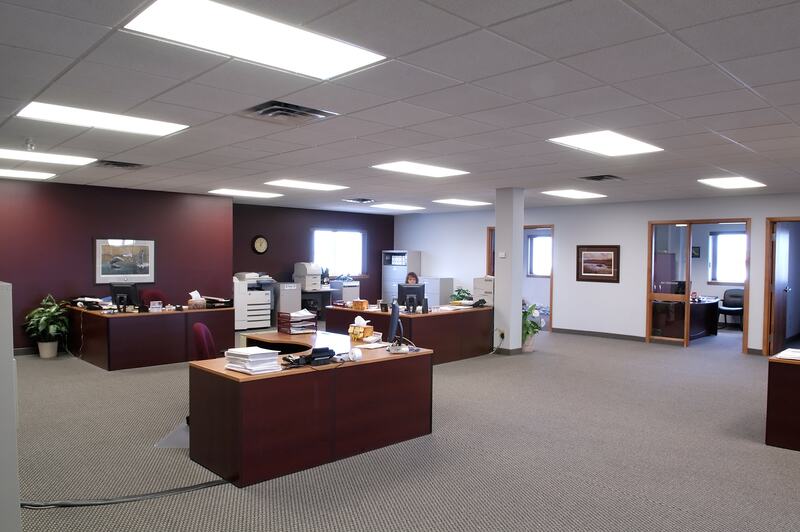 The building also contains 2 storey office space. 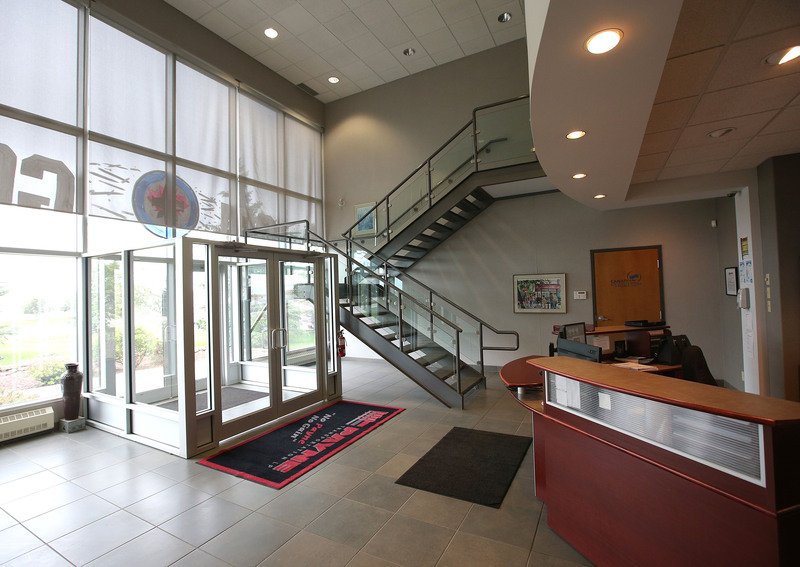 The beautifully-glazed 20’ high front entrance foyer and reception area makes a striking first impression as you enter the space.This beautifully-glassed 20’ high front foyer and reception area is stunning and floods this area with natural light. The full-glass wall is further set off by a stylish staircase which leads up to beautiful mezzanine space, again set of by a panels of glass. 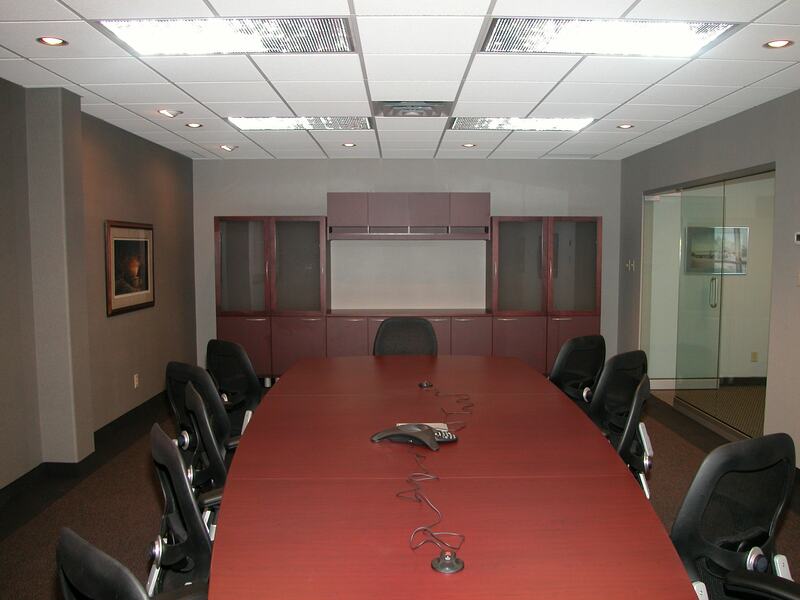 The roomy boardroom and wide open office area adds to the spacious feeling of this interior. 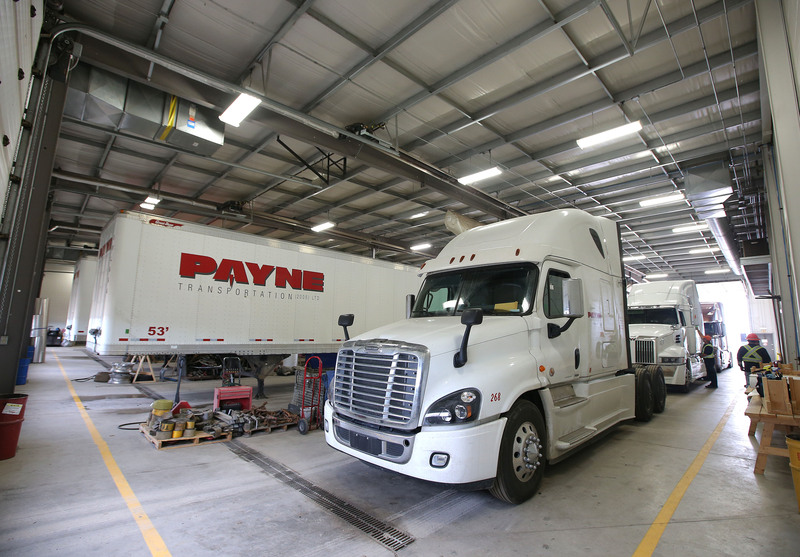 In the warehouse area, trucks are serviced in a light, bright and clean space. 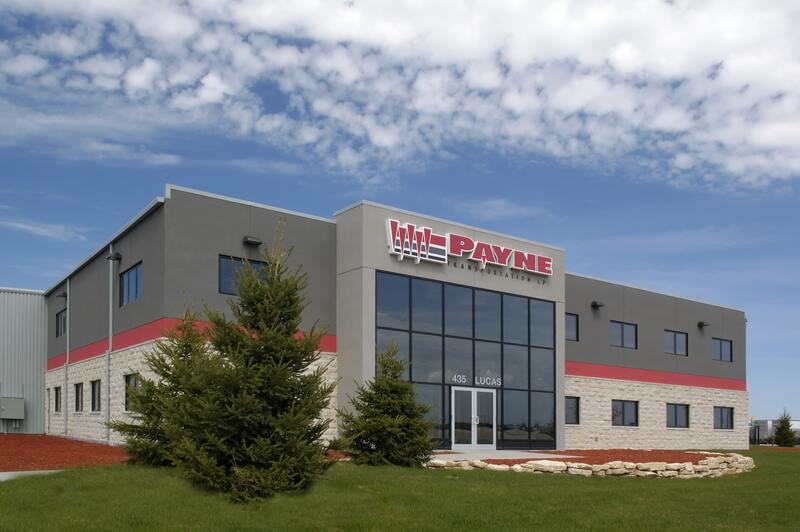 The exterior facade includes tyndall stone and a neutral toned stucco, accented with a bold red band that represents the companies corporate color.The immaculate landscaping is the perfect finishing touch!